Pop the cork and send up the confetti! ShoeFitts Marketing is celebrating the nomination of Founder, President, and Creatif Extraordinaire Sheri Fitts to 401kwire.com’s 2013 list of the “100 Most Influential People in Defined Contribution.” Even as the inaugural year of ShoeFitts Marketing is still underway, Sheri’s ongoing influence in the DC marketing and social media space is undisputed. You know it, we know it, and now readers of 401kwire.com will know it, too! https://sherifitts.com/wp-content/uploads/2017/12/sheri-hdr-logo.png 0 0 Sheri Fitts https://sherifitts.com/wp-content/uploads/2017/12/sheri-hdr-logo.png Sheri Fitts2013-06-28 07:44:242014-07-28 10:13:35Sheri Fitts Nominated to 401kwire.com's 2013 list of the "100 Most Influential People in Defined Contribution"
Social media to support the (K)onvergence Summit outreach efforts. Today, the (K)onvergence Summit appointed ShoeFitts Marketing manager of Social Media for the first-ever (K)onvergence Summit that will take place June 17 and 18, 2013 in New York City, NY. The program of this first edition of the (K)onvergence Summit will consist of general sessions addressing relevant macro themes as well as breakout sessions where Retirement Plan Advisers and Analysts may hear first‐hand from investment portfolio managers. Additionally, there will be sessions for attendees to discuss best practices for asset allocation models, analytical tools, and the role of fees in the construction of retirement plan investment menus and opportunities for registered attendees to meet in small groups with select portfolio managers. The need to help retirement plan investment advisers, analysts and others follow industry influencers through the Summit drove the search for a partner able to formulate and help implement a solid Social Networking practice. The savvy and Social Networking expertise of ShoeFitts Marketing made it very easy to forge a partnership. ShoeFitts will manage the @Konvergence Twitter profile during the event and participate actively in the LinkedIn Group already established for Summit organizers, sponsors, speakers, and attendees. To follow the unfolding of events during the Summit, individuals unable to attend are invited to follow the #konverge hashtag on Twitter. 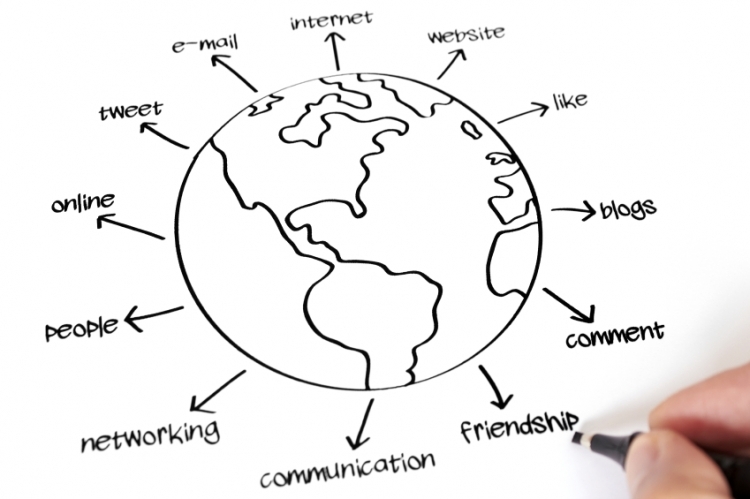 “Social media is changing the way we interact and learn. By embracing an active social media effort as an adjunct to the Summit, (K)onvergence is able to reach many more Advisers and Analysts impacting their value to plan sponsors. We are thrilled to be a part of this unique experience.” says Sheri Fitts, President of ShoeFitts Marketing. Detailed agenda posted at http://www.401konvergence.com. The (K)onvergence Summit is organized by EACH Enterprise, LLC. ShoeFitts Marketing consists of an exceptional team of marketing and social media strategy experts who specialize in helping retirement plan advisors, third party administrators, and financial service organizations. ShoeFitts Marketing knows how to work within the parameters of a regulated environment such as the retirement investing industry; gained expertise from decades of working in the financial services marketplace. In addition to its extraordinary staff, we’ve galvanized industry marketing and social media efforts by developing a cache of premium products, customized training sessions, and through the dynamic speaking engagements and workshops of Sheri Fitts. How did the phone call come about? LinkedIn. Yes, we met via social media. Something that would not have happened 10 years ago is now a commonplace event in my life. I’ve met folks from Australia who’ve taught me about their retirement plan world and women from Boston who write fabulous prose. These relationships have happened because I choose to see LinkedIn as a starting place for connection rather than simply a new card added to my virtual Rolodex. Many organizations and individuals measure their online success by the amount of followers, connections, and likes they amass. Recently, folks have begun to realize that it isn’t the quantity of connection, but quality. I agree. https://sherifitts.com/wp-content/uploads/2013/06/social-world.jpg 565 849 Sheri Fitts https://sherifitts.com/wp-content/uploads/2017/12/sheri-hdr-logo.png Sheri Fitts2013-06-04 16:16:282014-10-15 10:37:32What Did You Learn Today? Ann Schleck & Co and ShoeFitts Marketing have teamed up to offer Voilá, an innovative marketing and branding program for retirement plan advisors. The first full-day workshop will kick off in Boston, MA on July 23, 2013 and is designed to provide a hands-on opportunity to improve each advisor’s brand and provide new marketing collateral focused on that brand. Unlike most marketing workshops, Voilá moves beyond theory into immediate execution and results. Retirement plan advisors who attend this innovative day-long workshop will work with experienced retirement plan branding and marketing experts Ann Schleck of Ann Schleck & Company and Sheri Fitts of ShoeFitts Marketing to create a tangible and easy-to-implement marketing plan along with a complete set of customized marketing collateral. During this space-limited workshop, experts will engage with leading retirement plan advisors, who will learn what makes a good brand better and how design can transform a corporate image. Building on those lessons, advisors will gain knowledge in how to transform their brands via an effective marketing plan and a related collateral system. Leveraging that plan and collateral through social media techniques discussed during the workshop will amplify the power of the retirement plan advisor’s brand, resulting in increased awareness of each advisor’s distinctive value proposition, leading more powerful engagement with prospects and an opportunity to increase retirement plan sales. The marketing collateral includes professionally written and designed full-color brochure, customized personal and team bio and introduction sheets and branded presentation deck. 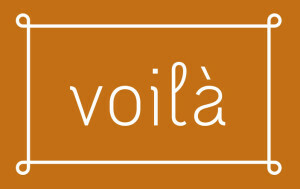 Registration for Voilá is limited to qualified retirement plan advisors and is open through June 10th. The cost is $1,500. To learn more about attending contact Sue Kelley, sue@annschleck.com or 651.236.8280. The online world allows many opportunities to discover more about prospective clients, competitors and industry trends. Rather than a broadcasting-only approach to social media, financial advisors should create a listening channel to raise awareness and build connections. All too often, social media is viewed as a one-way street – an opportunity for financial advisers to push their marketing messages to their audiences. By actively employing social media channels to cyber sleuth – research consumer trends, investigate competitors and actively engage with clients and prospects – social media channels become a two-way highway by which advisers can leverage social media as a brand differentiator, according to Sheri Fitts, founder of ShoeFitts Marketing. Advisors would be well served to follow the example of major Fortune 500 brands, which expend vast resources to safeguard their brands, on a smaller scale. Fitts recommends that advisers check out several online resources that can help them listen more effectively to their clients, prospects, stakeholders and others. Google Alerts is one of the best ways to stay on top of news in a specific location, client activities, prospects, competitors and your own firm. Newsle is a service that will help you track when your contacts – including clients, prospective clients, referral sources, members of the media and others – are mentioned in newsletters, articles and white papers. For the social networking minded, there are a number of targeted tools you can use to keep up with what your contacts are doing. Twilert is a Google Alerts version geared to Twitter, while LinkedIn Signal will allow you to search the updates of everyone in your network using specific phrases or words. Both Facebook and Twitter have settings that provide a simple way to be notified if someone mentions your name; access these through your setting on mobile devices and e-mail. ShoeFitts Marketing is Portland, OR-Based leader in marketing and social media strategy that specializes in helping retirement plan advisers , third party administrators, and financial service organizations. Our approach is simple: use the right tool for the right job. We know how to work within the parameters of this regulated environment from decades of experience working in the financial services marketplace. We’ve galvanized industry marketing and social media efforts by developing a cache of premium products and customized training sessions, and use progressive strategies to provide fresh opportunities for clients to establish standout roles in their industry.